While simple fixes may cost a few thousand dollars, lost revenue from equipment failures can run into the millions of dollars in lost productivity and replacement costs. There can be longer-term impacts, too, if the downtime inhibits a manufacturer’s ability to meet customer needs. 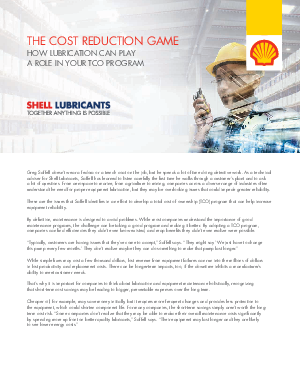 That’s why it is important for companies to think about lubrication and equipment maintenance holistically, recognizing that short term cost savings may be leading to bigger, preventable expenses over the long term. By adopting a total cost of ownership (TCO) program, companies can find efficiencies they didn’t even know existed and reap benefits they didn’t realize were possible. Download our white paper, “The Cost Reduction Game,” to learn more about how a TCO program can help increase equipment reliability, extend equipment life, and lower energy costs.